Long before the number-one albums and world tours, many famous rappers were blogging and tweeting, leaving a trail of internet crumbs chronicling their journey to stardom. With a little digging you can still uncover those now fascinating early posts. 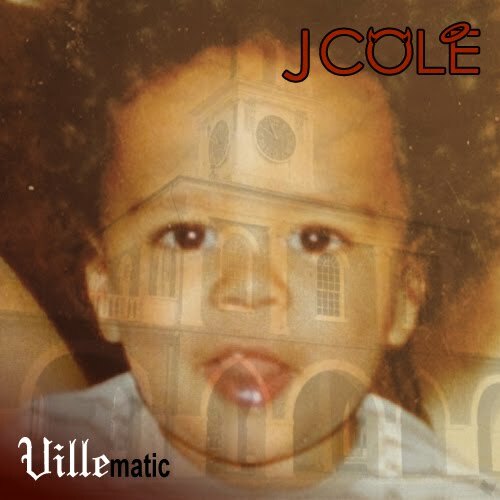 Want to know exactly how J. Cole felt about opening up for Jay Z years before Cole World? Then read on. If Kendrick Lamar can go from begging for Twitter followers to a Grammy in just a few years, why can’t you? Three years before the inescapable “Thrift Shop” became a #1 hit, Macklemore posted this photo of him picking out a thrift store gem for fellow Seattle rapper Grynch. He even went so far to comment on the “fair weather fans” only there for Halloween, which leads us to believe it’s wasn’t his first time popping tags with twenty dollars in his pocket. Authenticity is crucial, but often hard to prove. 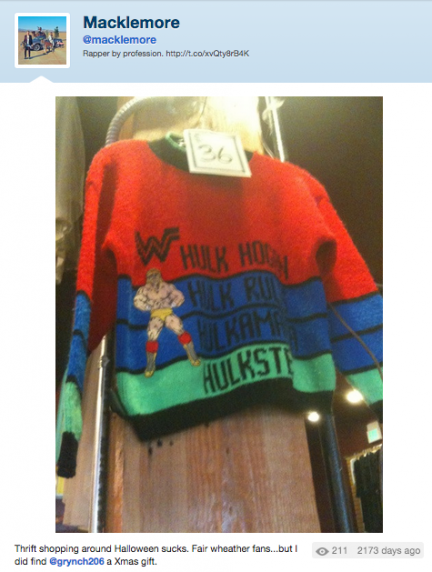 With Macklemore, there is no shortage of visual proof that he really is about that life…the thrift store life. im trying to reach 18,000 family/followers today. can we reach that goal today. spread the word.. This tweet by Kendrick Lamar, a man who currently boasts 5.5. million followers, gives you a sense of his humble beginnings. Looks like his fans really did spread the word. One day you’re a high school senior, the next day you’re one of the most popular rappers in the game. And because Chance grew up in the Tumblr age, we have a nearly day-by-day chronicle of his rise, including the fateful day he chose his new name. What’s even better, in the true spirit of the squad, Chance has brought L-Boog and Austin Vesely along for the ride; both are still major figures in the SaveMoney/Surf camp. And to think, it wasn’t long ago that he was just a 18-year-old kid celebrating his birthday with a Tumblr update. Now Drake drops a song whenever he feels like it (usually at 4 am on a Tuesday) and even when a project is in the works, we don’t know the title, the concept or the drop date. 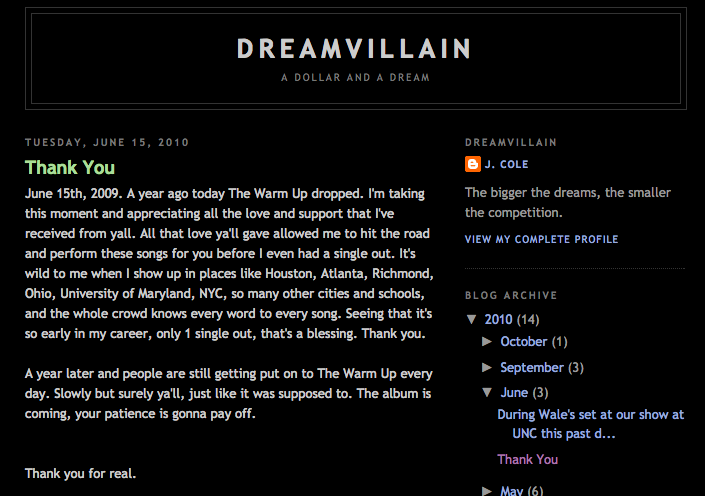 Back in 2009, though, Drake was constantly updating fans on the progress of his music via the OVO blog. Here, he goes into great detail about the tape that would propel him to stardom. 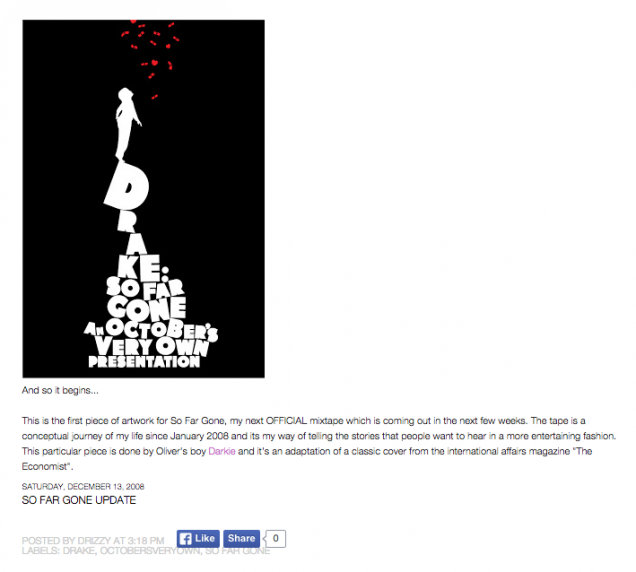 It’s crazy to think about: Drake had no idea So Far Gone would become what it did.